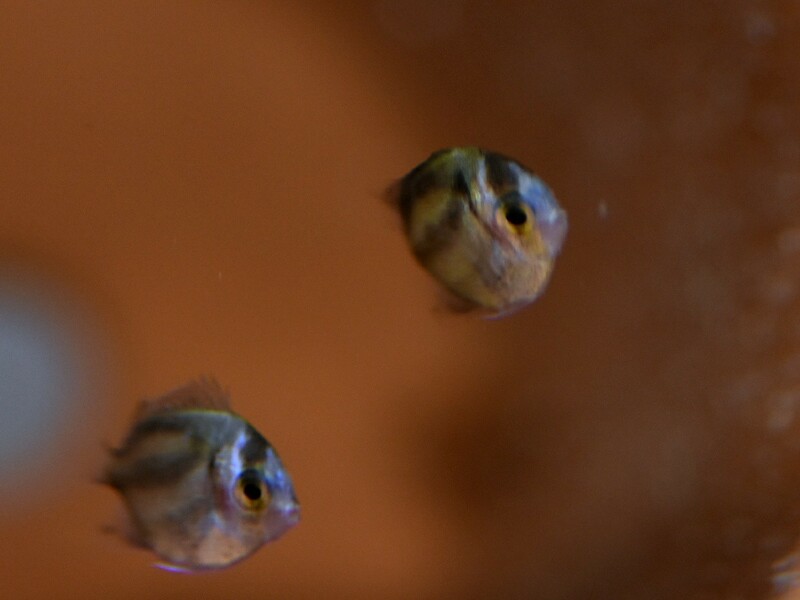 Those who are part of the online breeding community may likely attribute the first successful captive-breeding of the highly desireable Bellus Angelfish, Genicanthus bellus, to Chad Vossen of Alpha Aquaculture (which recently merged with Vossen’s former Minnesota-based Vossen Aquatics). 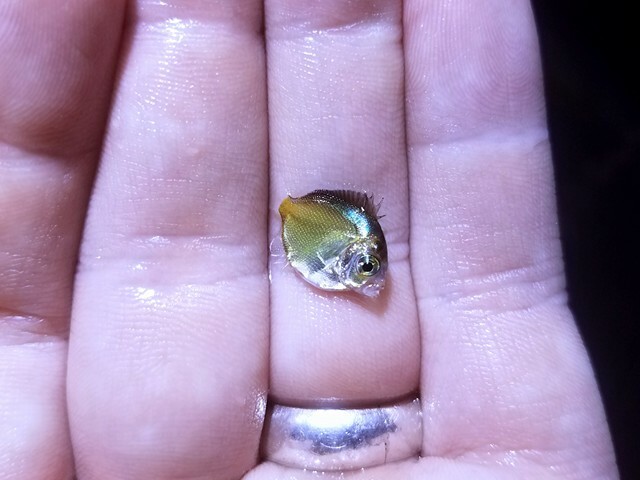 Vossen was very public about his work with Bellus Angelfish in 2017, routinely sharing updates via social media in the fall of 2017 as he worked on a promising batch of Bellus. This presented an interesting conundrum, because when we finally spoke about it, Wittenrich confided that he was more than happy recognizing Chad as the first to publish, and therefore the first to lay claim to the accomplishment. 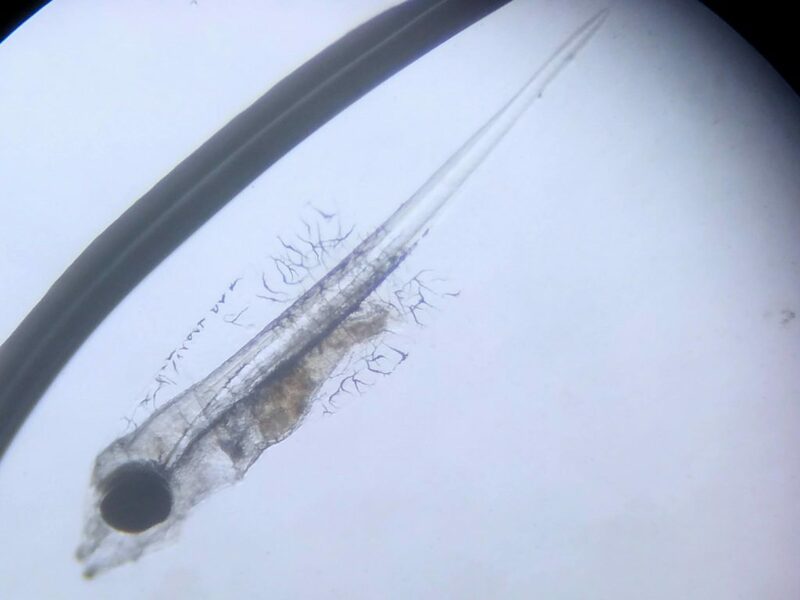 When it comes to the “Species First Award” from the Marine Breeding Initiative, we use the “first to publish” criteria, which would clearly give the edge to Vossen, per MBI rules. When you have two highly accomplished breeders unknowingly competing, chasing down a major accomplishment, each ultimately willing to point to a “competitor’s” success over their own, that’s a classy move. I say we recognize both accomplishments, and that they share in the accolades! In fact, you can not only share in the accolades but benefit directly from the accomplishment. Buy Some Captive-Bred Bellus Angels! 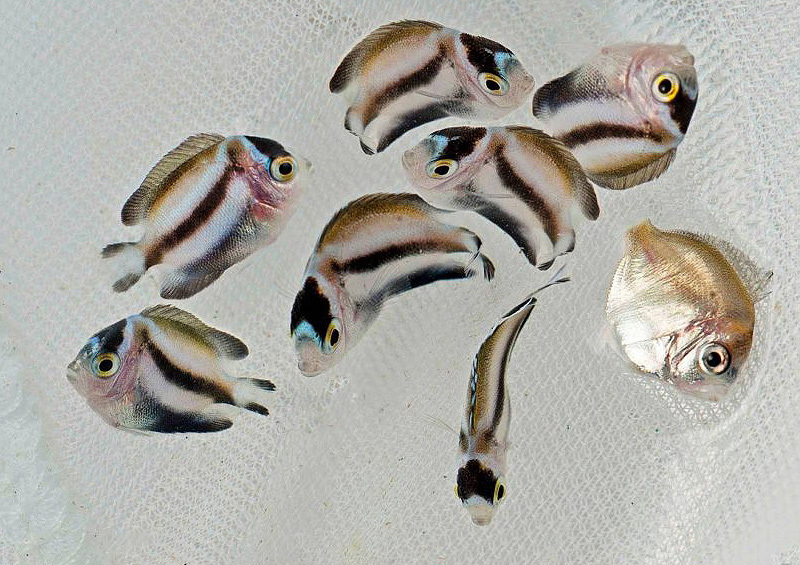 Bellus Angelfish, captive-bred at Poma Labs, shipping soon retail-direct to your door. Poma Labs currently sells exclusively directly to aquarists, meaning you’ll have to have them shipped directly to you. See more at www.PomaLabs.com and follow them on Facebook. Want a captive-bred Centropyge instead? 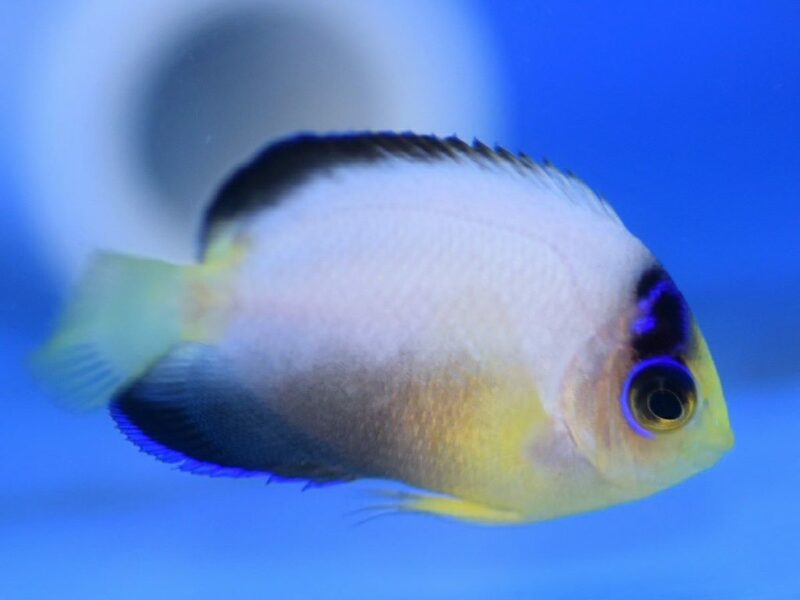 While Vossen isn’t distributing his own captive-bred Bellus at this time, Alpha Aquaculture is currently marketing a limited run of captive-bred Multicolor Angelfish, Centropyge multicolor, produced by Hawaiian-based Syd Kraul! 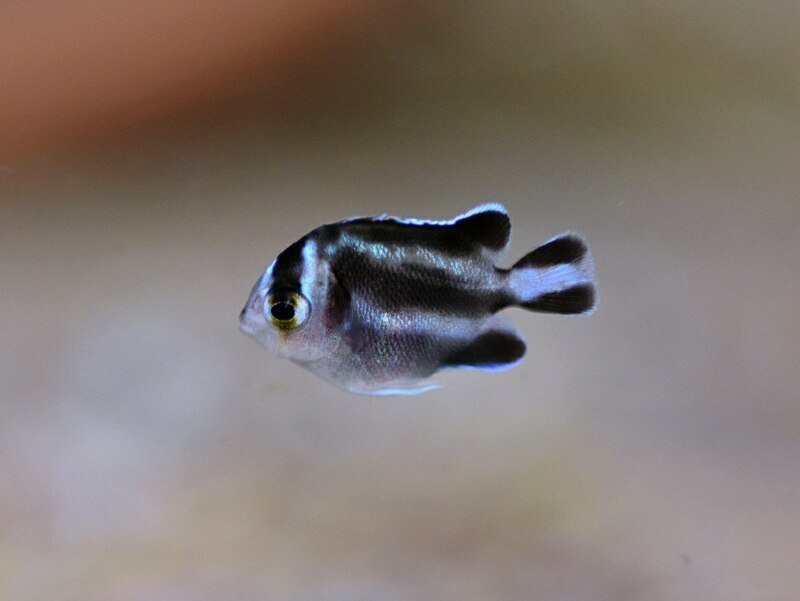 Alpha Aquaculture sells only wholesale to the aquarium trade, so be sure to have your favorite local fish shop connect with them if you want to get one of these very uncommon captive-bred beauties. See more at www.AlphaAquaculture.com and follow them on Facebook. Learn more about Poma Labs, Inc. in a feature interview with founders Dr. Matthew L. Wittenrich and Nuri Fisher, coming in a future issue of CORAL Magazine. Don’t miss out, subscribe to CORAL Magazine now!